Many of the competitors capped off great seasons by setting new personal records and gaining valuable experience competing against some of San Diego's most talented high school track and field athletes. 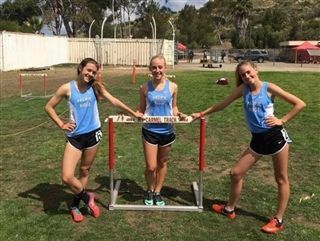 Two Firebirds, senior Gianna Bacher and junior Olivia Carter, qualified for the CIF Finals in the 100m Hurdles - 33'' and the 300m hurdles - 30'', respectively. They will compete Saturday afternoon at Mt. Carmel High School.